On a cold Friday morning in mid-December, 40 people gathered together on the 12th floor in a mid-Manhattan building to see how much interest and energy there was for starting a worker cooperative network in the Big Apple. They came on that Dec. 18 morning representing functioning worker co-ops, groups in the process of starting worker co-ops, non-profit incubators of worker co-ops, and support organizations. They came from all over New York City and Long Island. And most represented low-income, immigrant-driven projects. The Center for Family Life, Inc., a United Neighborhood House community center in the Sunset Park area of Brooklyn used their annual city-wide symposium to call this cooperative forum. Participants produced more than enough interest and energy to launch the beginnings of a "NYC-Co-operative Network" that held its first follow-up meeting on Friday, Jan. 22, 2010 in the offices of the Urban Justice Center in lower Manhattan. "On the one hand there is the value of democracy. This is something we all want to promote, especially at this time. On the other hand, there is the intensely pragmatic need for people 1) to have access to good jobs and 2) to become the drivers in their economic lives. The worker co-operative model brings both of these together. A strong network can spread this opportunity to other impoverished and immigrant communities in New York City where people are locked out of meaningful access to work opportunities. And, the network can be a resource to anyone who is interested in learning how to start, implement and incubate a worker-owned business." How did this happen? Where did they all come from? What has been going on that such a coherent beginning emerged seemingly all of a sudden and from nowhere? It's a complex and multi-narrative story spanning more than a few years. However, the Center for Family (CFL) stand outs as the spearhead for this emerging network, with help from several other key organizations, especially the Community Development Project of Urban Justice Center and the Green Workers Cooperatives in the South Bronx. The CFL initiative began over four years ago. Vanessa Bransburg, Cooperative Development Coordinator of CFL, and Jessica Jenkins, intern from Fordham University Law School and School of Social Work, explained what happened. The CFL staff had reached the point where they had realized they were dead-ended in their efforts to help several immigrant groups in the Sunset Park community. The residents' language limitations, lack of work skills, shortage of time, money, and other resources combined with the structural obstacles had the staff hamstrung. Realizing this, they stepped back, took a deep breath, and started researching for unknown alternatives. This eventually led them to identifying the worker co-operative model as a very promising possibility. They gathered information through contact with Women's Action to Gain Economic Security (WAGES) in the Bay area, the Institute of Popular Education of Southern California (in Los Angeles, CA), Project Hospitality Women's Co-op in Staten Island, NY, and UNITY Cleaners in Long Island, NY. They then plunged into their own learn-by-doing approach. Over a three-year span they incubated no less than four cooperative businesses currently involving more than 50 people. The members of each business work as independent contractors within their own cooperative structure, and abide by the cooperative principles. CFL gave a public focus to the possibility of a worker co-op movement at its annual Fair Work Symposium in 2007, two years before the most recent one from which the Network emerged. Gowri Krishna of the Urban Justice Center's Community Development Project attended this Symposium. The Justice Center is a not-for-profit, public-supported legal services provider, organized into eight independent projects that serve poor and vulnerable residents of NYC. The Community Development Project is one of the eight. Gowri began developing a relationship with CFL at that Symposium, and the CDP has played an instrumental role both in the formation of CFL's cooperatives and the Network itself. The Community Development Project started in 2001, and very early on it began working with Restaurant Opportunities Center of New York (ROC-NY) in organizing and starting-up the worker-owned COLORS restaurant. It was their first venture into co-operative law, and turned out to be the beginning of them representing other worker cooperatives throughout New York City ever since, including the Green Worker Cooperative. A year and a half ago, Ted De Barbieri, a young lawyer who became committed to the cooperative economy movement through his involvement with a New Haven, CT project to build a community bank, joined Krishna and other experienced attorneys at Community Development Project. He helped develop a proposal to expand the Project by providing legal counsel to low-income workers who wanted to start either worker co-ops or small businesses. Equal Justice Works, an organization that provides postgraduate fellowships to attorneys beginning their careers in public interest, funded the proposal. Under this program, the Community Development Project now provides the legal counsel that worker co-ops and the emerging network need in their organizational development. Green Worker Cooperative, a development organization, is committed to helping residents of the South Bronx to gain control of their economic lives, primarily through grass roots entrepreneurship. They offer training in the theory and practice of worker-owned cooperatives, and then serve to incubate co-op businesses that graduates choose to build. To date they have started one co-op, ReBuilders Source, and have six in the pipeline. 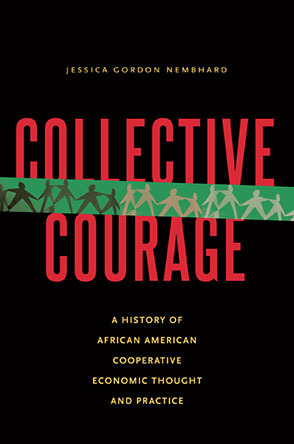 Early in 2008 Green Worker and the Center for Family identified each other as fellow worker co-op incubators. They joined with Urban Justice to plan and use CFL's annual Fairwork Symposium to bring together as many people and groups interested in and active in the worker co-op movement in New York City and Long Island. Omar Freilla, Tylea Simone, and Sonia Pichardo are Green Worker members active in the formation of the NYC Cooperative Network. Pichardo, the Green Worker Communications Coordinator, emphasized the potential of the emerging network "to galvanize all these people and groups into generating and sharing the resources and the expertise necessary for building a large, coherent movement in the metro area." On the other hand, she sees the need for "a full-time paid organizer as already critical to harnessing the amazing energy people are raising." She emphasized that "we need to get the network focused on outcomes and accountability quickly." organizations confronting similar dead ends as CFL in helping low income workers, like the Chinese-American Planning Council and the Little Sisters of the Assumption. The group has met at the end of each month since their symposium in December. The end products of each meeting shows a rather rapid development in creating a collective identity. At the same time, the ground they have covered in three months highlights some of the basic dynamics that any beginning democratic/cooperative network has to work with. what kind of metropolitan-wide structures will also achieve bottom-up participation? will they be an organization embracing all types of co-operatives - worker, consumer, producer, and housing - or restrict itself to worker co-operatives? how will they make relationship building an integral part of their network? will they remain focused on low-income and immigrant populations, and become a broader movement? how will they workout participation and voting rights among co-ops and support organizations? We are a network of worker-own cooperatives that includes members of the cooperatives, new cooperatives, the larger low-income community that cooperatives work in, cooperative developers and cooperative supporters. The Network of Worker Cooperatives collaborates with other cooperatives to create and further democracy in the work place. We are committed to extending skills training and capital development for existing and new cooperatives. Finally, at their last meeting on March 26 participants went in-depth on the questions of developing a vision statement, membership and who is to be included in the Network, as well as how they were gong to make decisions. In general, participants recognized that these were complex inter-related issues and that they could only be worked out over time. They also recognized that addressing them thoroughly and deeply would be very important to developing the trust and transparency they will need as a foundation for the network. The Network at this point consists of several entities: established worker co-ops, ones in-formation, non-profit incubators, consumer co-ops, non-profit support organizations, and interested individuals. It seems fairly clear that they are choosing to be a network of worker co-ops that also wants connections to other cooperative sectors. However, their strength depends on the solidarity of all who are involved. Since structuring membership involves distributing voting power, there is much for the Network to work on among themselves. Another question that received careful attention was who will the Network be open to. The primary concern was around the tension between goals. First, participants want their Network to be as inclusive as possible of all people and organizations that want to build a local worker co-op movement. At the same time there was virtual consensus that the Network should maintain a priority of developing worker co-ops in communities that most need economic development. All reiterated a dedication to promoting social and economic justice. Decision-making was the final topic that received a bulk of the group's time. This discussion focused on consensus decision-making. The group as a whole seemed very favorable to this becoming their process in some form. However, many people were not familiar with the consensus process in its various forms, so they decided to distribute information about it as needed and return to the issue at the next meeting. As a cooperative incubator, the Center for Family Life worked with immigrant women from Mexico, Columbia, and the Dominican Republic to form two worker co-ops: one that provides child care called Beyond Care, and another that delivers house cleaning services, We Can Do It/Si Se Puede. A third co-op, We Can Fix It! Cooperative began with all men who were doing home repairs and improvements. Although technically not a worker cooperative, the fourth business, Emigre Gourmet, is a woman-owned, woman-run collective enterprise offering multi-national catering and chef services. Each of them works as an independent contractor. Beyond Care, which began in 2008 with 19 members, now has 26 worker-owners. Emigre Gourmet began with three independent caterers in 2008. It now has six who are offering four styles of cooking. How the Little Sisters Family Health Service of East Harlem got involved in the worker co-op model indicates how far CFL's impact has reached. Like CFL the LSA Family Health Service both provides a broad range of services and also has a special focus on enabling community residents to move out of poverty. The non-profit agency runs a thrift store in their area, The Sharing Place, to provide the neighborhood with gently used clothing and housewares. As a non-profit they receive a lot of donated goods that they sell , but they need to process all of the potential merchandise they receive off-site. Their store facilities cannot provide the space nor the staff to do all the processing the store needs. How to do this? Voila! Start a business that can provide employment for local people needing it. They found about the work CFL was doing with worker co-ops in late 2009, and arranged for a large team of staff, board members, and potential co-op members to visit CFL and find out all they could. The result is that six workers have just about completed all the legal work to establish themselves as an independent worker-owned business that can sign a contract with LSA Family Health Service to do all of the merchandise processing for LSA's thrift store. At the same time LSA will work with the new business as it develops into an autonomous operation. Again, the Urban Justice Center served the essential function of helping with the legal counsel on the corporate structuring and providing the important tax information the project needed. At this point Harlem Legal Aid is representing the coop in negotiating a Memorandum of Understanding between the cooperative and LSA Family Health Service as well as with the last stages of incorporation. As a result of what they learned with CFL and seeing the value of the worker co-op as a means of relating to the desire of people in their community to move out of poverty, LSA has become a strong participant in the emerging NYC Co-op Network. For example they are hosting the group's third meeting during the last week of February. Michael Johnson is a member of Ganas, an intentional community in Staten Island, New York and a volunteer organizer for the Valley Alliance of Worker Co-operatives as well as a member of the GEO collective. Email: michael.alliance21@gmail.com. Si Se Puede and Beyond Care photos courtesy of Vanessa Bransburg. LSA Family Health Service photos countesy of Melina Gonzalez. When citing this article, please use the following format: Michael Johnson, (2010). A Network of Cooperatives Gets Organized in New York City: Low-income and immigrant workers well-represented. Grassroots Economic Organizing (GEO) Newsletter, Volume II, Issue 5, http://www.geo.coop/node/435.